When facing a storm in life, most of us prefer that God would simply speak and hush the storm to a whisper. 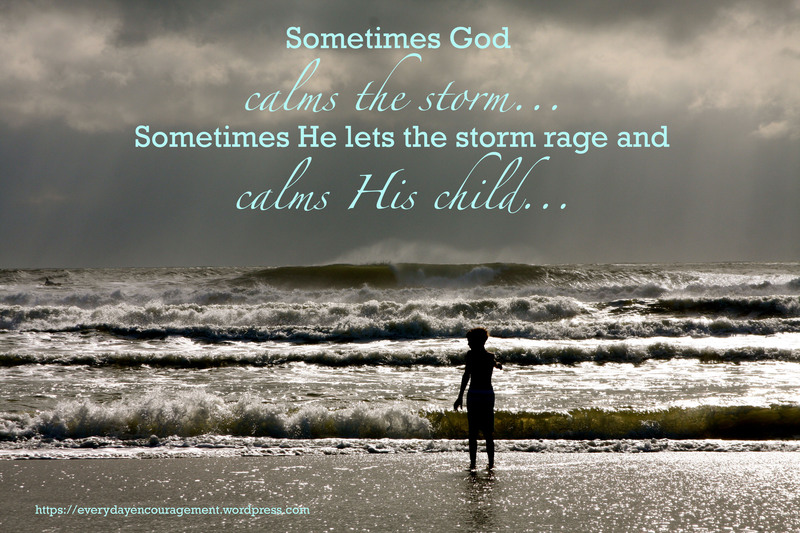 But instead, “sometimes He lets the storm rage and calms His child…” And if you ever witness God’s unfathomable greatness in action during times of extreme distress, you gain a divinely deeper understanding of His limitless power and love than you would if He simply calmed the storm. In turbulent times, your faith is stretched and expanded to new limits and you receive a marvelous insight: when hope in God is all you have left ~ that’s all you really need. His grace, protection, and provision are sufficient to help you weather any tempestuous circumstances. So as His child, allow His words to penetrate your heart and give you perfect peace and confidence, so that you will be calm in the midst of any storm you face.